Four key focus areas to take your employer brand strategy to a new level in 2016 with opportunities for South Africa companies. In 2015, the employer branding industry took giant leaps forward. Research studies and numerous conferences were conducted around the world. Vendors across multiple sectors including consulting, HR technology and traditional brand agencies made it a key part of their business development strategy. Employer branding, like many management practices, moves in line with economic growth. Investment in people, technology and the supporting systems and processes all benefit from an improved economy. There is a tendency to want to rush into employer branding without a clear direction. This is how most projects usually get started. 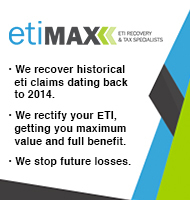 However, be aware, the path of least resistance can end up costing you more in the long term. Companies like Ferrero, adidas Group, L’Oreal, Volvo Cars and Lego have all made significant progress in this area over the past few years by clearly defining the scope of their strategy and establishing metrics to measure return on investment and demonstrate how a strong employer brand creates value. These companies have also developed dedicated employer brand leadership functions to manage the strategy at a time when most companies still see employer branding as an add-on to an already overstretched HR or marketing function. • Will our focus be global, national or regional? • Are we looking at a tactical employer branding project or a holistic employer brand strategy? • How does employer branding fit in to our strategy alongside consumer marketing, HR and communications? • What resources do we have to invest? • How engaged are our leadership in employer branding? Next, you need to define your objectives and establish timelines. It’s amazing how much is invested by companies in their strategies without clearly defined objectives or metrics. This was confirmed in our employer branding global trends study when 25% of South African companies said it was too early into their strategy to determine metrics. • Research by Employer Brand International found 56% of South African companies haven’t developed an employer brand strategy but they are working on it. This is a further prompt for South African leaders to clearly define their employer branding objectives and metrics in 2016 to build the business case for investment and engage the CEO and Senior Management about the benefits. This task is critical if you are striving for your organisation to adopt a strategic approach to employer branding. If you can’t engage leaders across the business in your strategy, it is likely to become a stand-alone project that receives little interest or investment by senior leadership. 10 years ago there was very little information available on employer branding, how to do it or case studies of companies doing it successfully. In 2016, there is a wealth of information on the Internet and in books that can assist to educate leaders on the value and importance of an employer brand led people strategy. For the past 10 years, leaders have predominantly been exposed to theory and concepts on employer branding. It has only been over the past few years where leaders have begun developing the competencies required to become a successful employer brand leader. Like many other roles, employer brand leadership talent is in short supply. The lead times to fill advertised roles (many for the first time) have been long, especially if the role has a strategic focus. In 2016 more leaders will seek training to build these competencies and not just in economies such as USA, UK and Europe. • The growth of employer branding as a strategic management practice in companies around the world opens up opportunities for newly created employer branding specialist roles within South Africa with a view to giving rise to a new set of leaders who will develop the competencies required to successfully manage human resources in the future. In 2015, Brett co-authored a whitepaper with Lisa G. Morris titled, “In employer branding, EXPERIENCE is everything.” Contributions were received from forty leaders around the world to inform thinking. As a key differentiator for brand experience success, organisations have traditionally focused on the customer experience. However, what’s been missing has been an understanding of the role of the employee in the relationship between organisations, customers and profitability. Employees are central to the customer experience and organisations must adopt an integrated approach towards brand experience if they are to remain relevant to the needs of customers and the talent that drives these experiences (see figure 1). Experience goes beyond employee engagement and employee satisfaction before it. How companies interact with employees on a day to day basis impacts on a number of lagging indicators such as staff turnover, disengagement and lack of trust. In 2016, assess your employee experience and develop strategies to address the gaps to ensure the experience across the employment lifecycle is consistent and aligned with your employer brand strategy. Employer branding is much bigger than a stand-alone recruiting function. Implemented effectively, it can result in transformational results as it has at companies such as L’Oréal, Sodexo and UnitedHealth Group, who are now seeing the benefits of their investments in employer branding over the past five to 10 years. Many of the leaders driving the strategy in these companies invested considerable time educating senior leaders about the importance and benefits of employer branding and how it would assist to attract and retain talent necessary for its growth. • Re-visit the employer value proposition (EVP) so that it aligns with more intangible benefits such as work flexibility, friendly workplace, career and personal development, supportive leaders and interesting job content that are being sought by talent in 2016, compared to the traditional benefits such as compensation and rewards. Whilst these are important, research shows employees are likely to join companies on lower salaries if the intangible benefits are strong. Content is everywhere in 2016. However, many early adopters are simply broadcasting to the market the great things about working for their company. It is one-way communication and unlikely to connect with the target audience. There needs to be interaction and an environment developed where two way communications can take place. 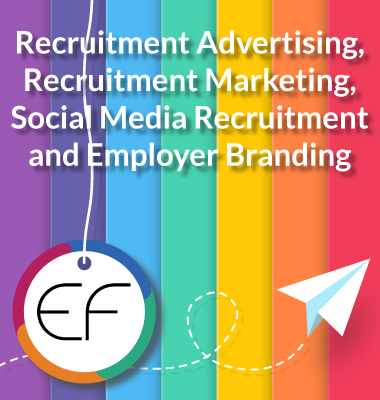 Companies should follow the lead of companies such as Dell, Starbucks and Sodexo who have developed and implemented an employer branding content marketing programme that adopts a long term approach to showcasing what it’s like to work at their company. Consider you are scripting a TV show you want to run for many years by keeping the content relevant, fresh and interesting and not just creating a mini-series! • SA companies need to be proactive in their approach to their ongoing employer branding marketing programmes as opposed to a tactical approach only when they are recruiting. Sporadic initiatives will not drive top of mind awareness and build an employer brand companies are seeking to achieve, especially when competing for critical skills and wanting to attract the passive work-seeker. If the growth trend of employer branding practice continues at the same rate around the world as it has over the past five years, South African companies that make a commitment to invest in their strategy in 2016 will be best positioning to reap the benefits such as ease in attracting candidates, higher engagement, lower attrition rates and better quality of hire. It’s never too late to act! Celeste Sirin is an employer branding specialist, speaker, facilitator and founder of Employer Branding SA which aims to develop employer banding best practice in South Africa by educating South African leaders. Celeste is a leading authority in positioning and elevating employer brands for companies, offering extensive insight into local, African and international employer branding trends.